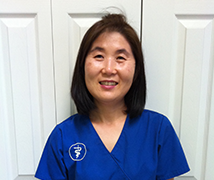 She has been working with Dr. Kim as a manager and an animal nutritionist since 1995. She got her Master’s degree in Nutrition from Eastern Michigan University. She has been enjoying to consult about the animal nutrition for the furry friends. In extra time, she like to do cooking, shopping, watching the movies and exercising. She has been working with Dr. Kim since 2001. She really enjoys working with the furry legged friends. She has a beautiful daughter, four cats (Percy, Mikayla, Haji, and Oscar) and a bird (Perriwinkle). In her spare time, she likes to read. She has been working with Dr. Kim since 2005. She speaks the bilingual, English and Spanish fluently. So, she is always trying to help the Spanish clients better understand our services by translating into Spanish. Also, she is an animal lover and has been enjoying working with the furry friends. As a matter of fact, she has a dog named Charley, three chickens (Lucy, Butterball and Trixie), a cat named Gizmo and a rabbit cleverly named Rabbit. She is married to a wonderful and supportive husband. And, she has three handsome sons who always keep her busy. In her extra time, she enjoys making jewelry. He worked several years with Dr. Kim as a Vet. Technician. He is an animal lover. He has a dog named Oliver and a Cuban Amazon Parrot named Guava. He loves jogging with his dog every morning. Also, he has been very concerned about the physical therapy on the furry friends and people. 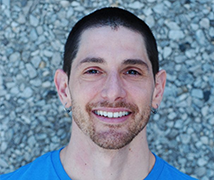 So, he plans to get more training and become a certified physical therapist for both animals and humans. She was a volunteer for a few months. Then, she was hired as a Vet. Assistant and has been working since 2013. She is married to a wonderful husband. And, she has a daughter and a son. She owns two dogs and a cat. In her spare time, she likes to go fishing with her husband and children. 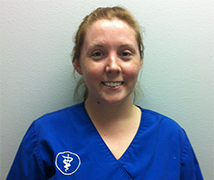 She had worked at another veterinary clinic as a Vet. Assistant for a few years before she came to our clinic in 2012. She has five dogs. She is married to a handsome husband who is also a professional groomer. She likes to ride her bicycle. She has been working as a Vet. Assistant since 2013. She speak bilingual, English and Spanish fluently. And, she has been helping other Spanish clients who have the language barrier. She loves working with the furry friends. She has a dog and a cat. She has been attending University of South Florida. She plans to become a veterinarian. She likes to travel around. 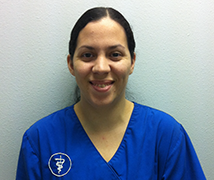 She is attending St. Petersburg College to be a Veterinary Technician. And, she has worked as a volunteer at several rescue clubs. She has three cats. In her extra time she likes to listen to music. He is attending Leto High School. He want to become a veterinarian. So, he plans to study Biology at the college. He has a cute puppy.